I was both excited and annoyed as the Asian Football Confederation qualifying draw for the 2018 World Cup in Russia went along the other day in Malaysia. For starters, it was a travesty that 2014 Suzuki Cup runners-up Malaysia were in Pot 5 among the lowest ranked teams in the draw. Then there was the Greco-Roman satire of the Democratic Republic of Korea being in Pot 4, the same pot that contained, no disrespect, Timor Leste and Myanmar. The North Koreans, as everyone knows, have been to the World Cup twice, the last as recent as 2010. When will FIFA seriously rethink its ranking system so that it will accurately reflect a nation’s standing in world football, the number of internationals it plays notwithstanding? And so it was that with each of the eight groups having a mere 12.5% chance of landing the North Koreans, they just had to land right smack in our group. That would be Group H of the second round of World Cup qualifiers, where the Philippines were also drawn with Uzbekistan, Bahrain and Yemen. For a while, I was casting an envious glance at Group F, which was quickly becoming a Southeast Asian soirée with Vietnam, Thailand and Indonesia landing there one after the other. Had we landed in this group instead of Thailand, who were in the same pot as us, I would have fancied our chances of progressing to the next round of World Cup qualifying. On the other hand, I have felt for a while that if as a footballing nation we wished to take ourselves to the next level, we needed to leave our comfort zone. That is, play outside of Southeast Asia. On this premise, I suppose I cannot really complain about how we fared in the draw. If anything, I felt just that wee bit regretful that we did not get the Aussies, Korea Republic, Japan or Iran. Our boys will probably be left chasing shadows, but think of the learning curve from just being on the same pitch as professionals who ply their trade in Europe’s most famous leagues. At any rate, the World Cup qualifying format says that all group winners along with the four best second-placed teams will move onto the next round. It will be disrespectful to our Philippine Azkals to say that we cannot get out of our qualifying group, especially after the promising performance in Bahrain recently. However, while Uzbekistan, Bahrain and DPR Korea did not necessarily light up the 2015 Asian Cup, each of these teams has arguably more experience at this level than ours. That said, the days of blow-outs against our team are long gone; and indeed, Palestine, the team that narrowly pipped ours to the 2014 AFC Challenge Cup, showed in the last Asian Cup that it could avoid rugby scores. Implicit to this is that our team can, too. Still, if at all we get out of this qualifying group to move onto the next round, it will probably with the hand of God; and not of the Diego Maradona sort. I have learned in my lifetime never to say never in football; but pragmatism dictates that it will be difficult if not impossible. However, even if we do not progress to the next round of World Cup qualifying, there is another more reachable objective at hand. 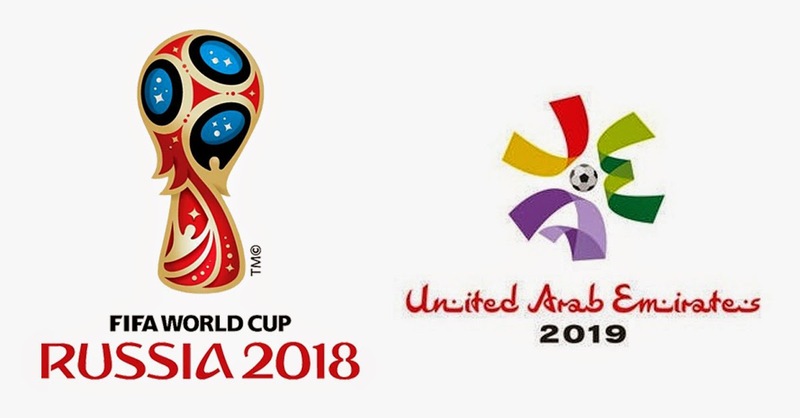 Probably just to keep all of us fans mentally challenged, the AFC has decreed that the qualifiers for the 2018 World Cup will also serve as qualifiers for the 2019 Asian Cup to be hosted by the UAE. The permutations are quite confusing. Even if the Azkals do not finish top of the group or as one of the four best second-placed teams, it can still progress to the next round of Asian Cup qualifying. The terms are kinder since the Asian Cup is being expanded from 16 to 24 teams. For the Asian Cup, the eight group winners along with the four best second-placed teams automatically qualify for the 2019 UAE tournament. The next 16 best placed teams are seeded into the third round of qualifications. The twelve lowest ranked teams will engage in home-and-away playoffs; and the winners will advance to the third round of qualifications. The third round of qualifications will therefore consist of 24 teams to be divided into six groups of four teams each. The top two teams from each group, I suppose, qualify for the tournament proper at the UAE in 2019. The twelve lowest ranked teams meet home and away to qualify for the third round. For the third round, the 24 qualified teams are divided into six groups of four teams.